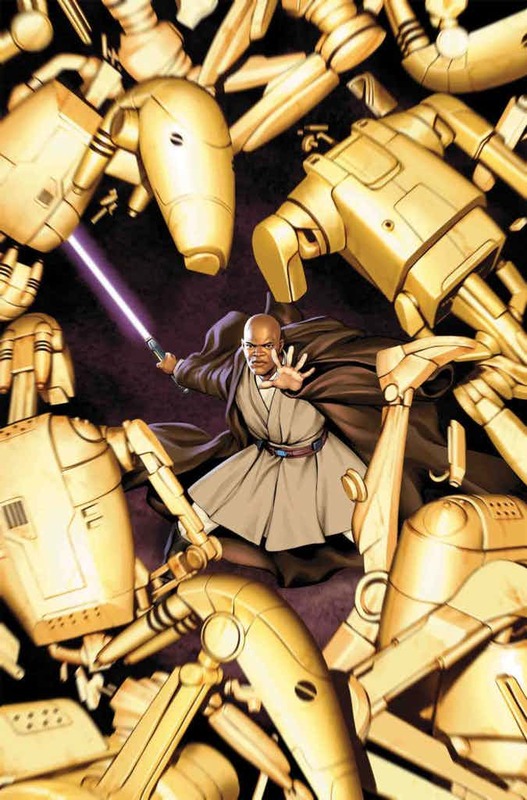 The Star Wars onslaught from Marvel Comics continues as today the company announced a new solo Mace Windu series entitled: Jedi of the Republic. The book will be written by: Matt Owens, featuring the art of: Denys Cowan, both of which I am unfamiliar with. Other Information as of now is scarce, we don't know if this will be an ongoing like Vader and Star Wars have been or an limited series in the vain of: Darth Maul, Lando, Leia, and Han Solo. The comic is scheduled for an August 2017 release, but an exact release date has not been revealed. Out of all the Star Wars Marvel Comics that have been done to date, I probably have not been more excited for one as much as I am for Mace Windu outside of Darth Vader. Having a Samuel L. Jackson level badass in the Star Wars universe only for the Prequel Trilogy and the Clone Wars is a complete travesty, one hopefully this book will correct. Who knows in an ideal galaxy this book would be epic enough to inspire stories for a Mace Windu Star Wars film! *Updated: Marvel has confirmed that this comic will be a 5 issue mini-series.